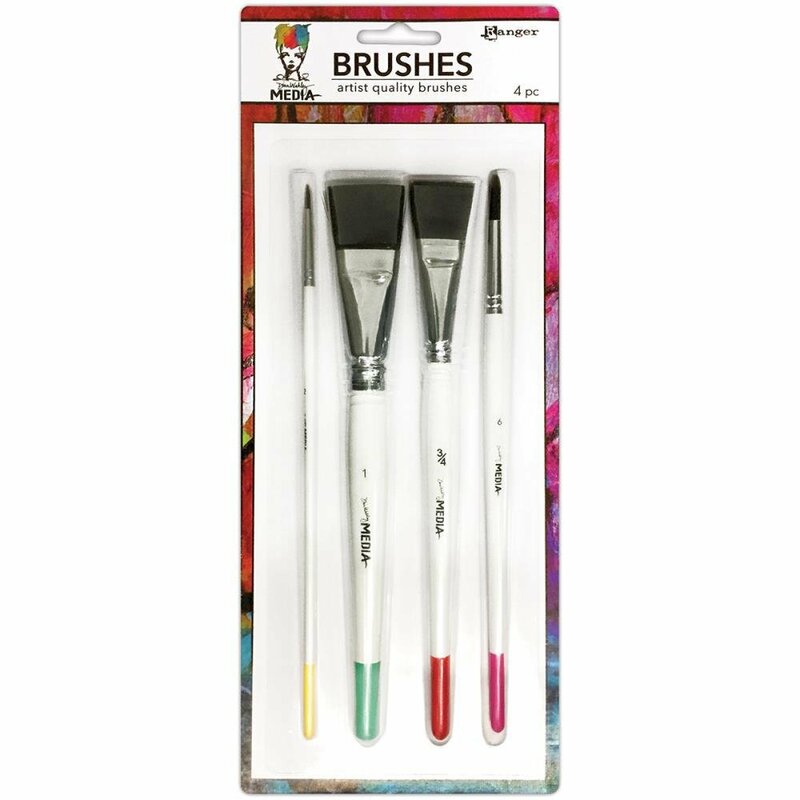 Dina Wakley Media Brushes pack of 4. These brushes feature durable, synthetic bristles housed in a rust-resistant metal ferrule. The handles are easy to grip and the brushes produce smooth, even results. Handle tips are color-coded for easy identification. This package contains one 1 inch flat brush, one .75 inch flat brush, one #6 round brush and one fine point brush.